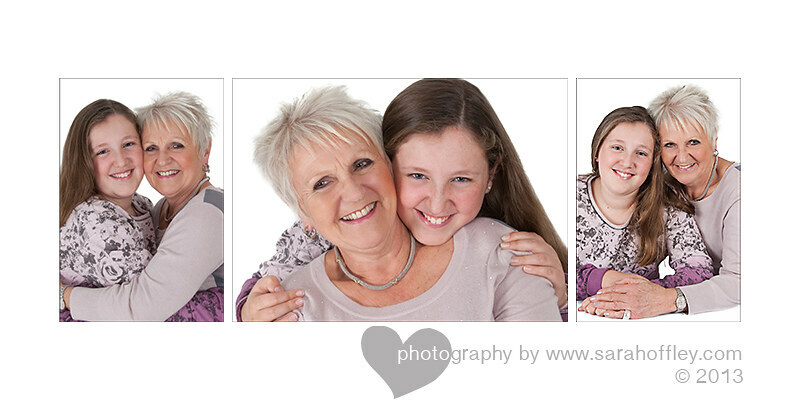 There is such a special relationship between any Grandmother and Grandaughter, but particularly between these two, the bond they have was just lovely to watch and it was an absolute pleasure to photograph them together, such as sweet and lovely girl and talk about Glamorous Nanna!! Stunning images from the session taken at the studio in Cheshire, here are a few of my particular favorites, Enjoy. This session was purchased initially as a gift voucher for Nanna, which is a lovely idea, don’t miss this opportunity for your Grandparent & Grandchildren session a once in a lifetime gift. Click on the links for more information on portrait sessions and portrait gift vouchers or give me a call on 0151 348 1234 for a chat.